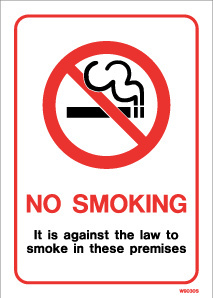 Self-adhesive vinyl No Smoking sign that can be displayed in a wide variety of locations. Text reads 'No Smoking. 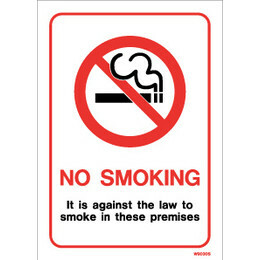 It is against the law to smoke in these premises. '.